Work included removal of overgrown plants in conjunction with relocation of specimen plants into new layout in combination with new plantings, in addition to new walls, steps, driveway with new curbs, landings, apron, drainage, and entrance pier. Footing, basement drainage, and waterproofing were installed to correct drainage problem. 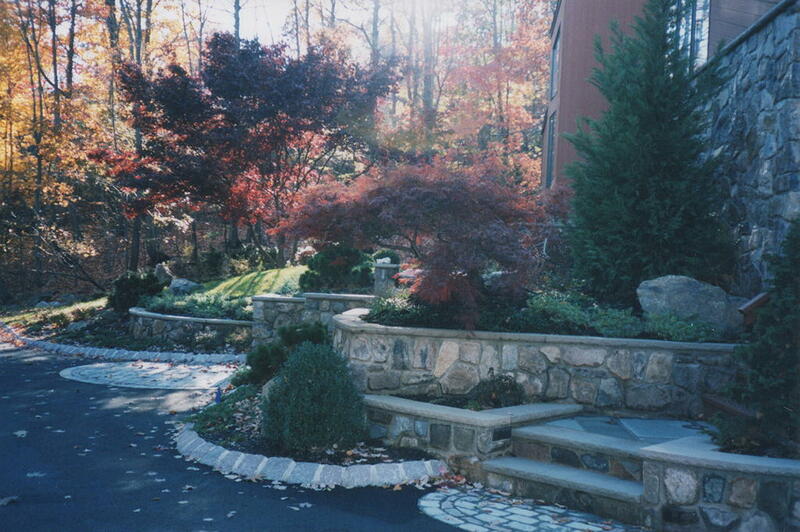 The existing front stone veneer and chimney were inspected and also reconstructed.